CENTRAL VALLEY – Two hospitals within the Adventist Health / Central Valley Network were named recipients of the 2014 Women’s Choice Award as one of America’s Best Hospitals in Emergency Care. 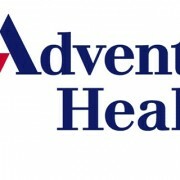 The honor went to Adventist Medical Centers in Hanford and Selma. The Women’s Choice Award is the only distinction that identifies the nation’s best healthcare institutions and signifies both hospitals’ commitment and passion for creating an extraordinary healthcare experience for women and other patients. The award is also the lone recognition program that measures against the needs and preferences of women. Of the seven measures reported by emergency departments to the Centers for Medicare and Medicaid Services (CMS), women rate “door to diagnostic time” or “door to doctor,” as the most important criteria when selecting an emergency room. Both Hanford and Selma hospitals have among the lowest times in the nation for those measures. “Our emergency teams work hard to provide high-quality care and an excellent patient experience,” said Wayne Ferch, president and CEO of Adventist Health / Central Valley Network.